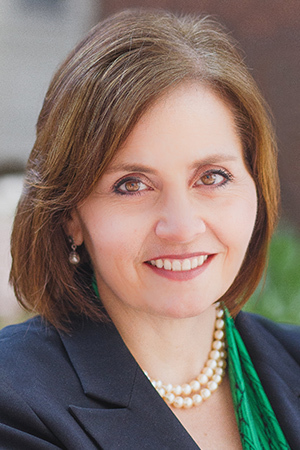 As Chief Executive Officer, Shelley Fuld Nasso leads the the public policy activities of NCCS at a time of rapid and fundamental health care system change. Shelley joined NCCS in December 2012 and was named CEO in October 2013. Prior to joining NCCS, Shelley served in leadership roles at Susan G. Komen, where she leveraged Komen’s grassroots network in Washington, D.C., and in state capitals. There she built relationships with policymakers and partner organizations and led a team of staff and volunteer leaders to influence state budgets and legislation. Under her leadership, Komen successfully secured $80 million in state funding for cancer screening and treatment for uninsured and under-insured women. She and her team also expanded the Komen grassroots advocacy program from a pilot of seven affiliates to more than 100 affiliates across the country engaged in federal and state advocacy efforts. 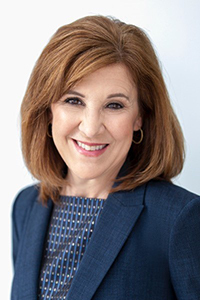 Shelley has also served as Director of Community Philanthropy at The Dallas Foundation and held management positions at communications and technology enterprises. She is a graduate of Rice University and holds a Master of Public Policy from the Harvard Kennedy School. Shelley’s commitment to the work of NCCS is strongly tied to the experiences in the cancer care system of her dear friend, Dr. Brent Whitworth, a beloved physician who was diagnosed with stage IV cancer days before his 42nd birthday and who passed away 19 months later. Through Brent’s experiences, Shelley witnessed the strengths and flaws of the cancer care system and embraces the notion that policy change can make cancer care better for patients and caregivers. Shelley and her husband Michael live in Maryland and are the parents of three young boys. 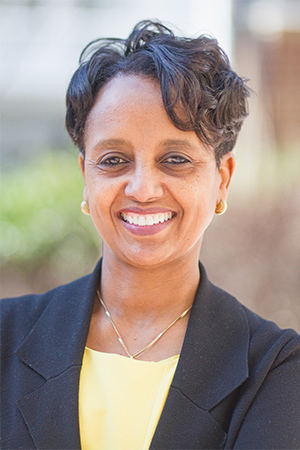 Woulita Seyoum joined NCCS in 2007 and serves as Senior Director of Finance and Operations. Prior to joining NCCS, Woulita served as Director of Finance at Point-Of-Purchase Advertising International (POPAI), a trade association for the point of purchase advertising industry. She too has a very personal connection to cancer with her father’s diagnosis, treatment, and end-of-life journey. Woulita is a graduate of Old Dominion University in Norfolk, Virginia, and lives with her husband and two teenagers in Maryland. Elena Jeannotte joined NCCS as the Director of Philanthropy in the Summer of 2015. She is responsible for developing partnerships between NCCS and local and national corporations, organizations, foundations, and individuals. Elena has nearly 15 years of experience in constituent engagement in the healthcare field. Prior to joining NCCS she worked for Georgetown University Medical Center in roles of increasing responsibility. Most recently, she served as Senior Director of Constituent Relations and Events and was responsible for a fundraising and engagement program for Georgetown Lombardi Comprehensive Cancer Center. Elena also founded and served as president of a small non-profit organization focused on supporting esophageal cancer research at Johns Hopkins. Elena’s passion for working in the field of cancer research and advocacy stems from serving as a caregiver to her parents, both of whom battled cancer. Their experiences as patients inspired Elena to start her career in the cancer field. She considers her role at NCCS, and her drive to support cancer survivors, as a way to keep the memory of her parents alive each and every day. 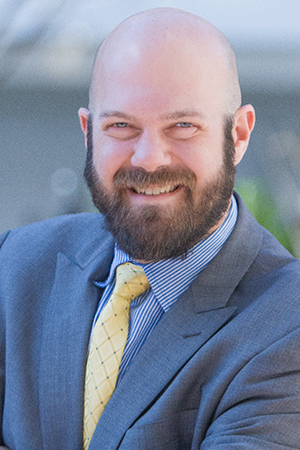 Dan Weber joined NCCS as the Director of Communications in February 2016. In this role, he guides the strategy regarding outreach to the media and other stakeholders, and ensures that the communications, website, and public relations messages consistently articulate NCCS’ mission and priorities. He also works closely with other senior members within the organization as the communications partner to support the fundraising and policy objectives. Prior to joining NCCS, Dan served as the Director of Communications for Congresswoman Donna F. Edwards (MD-4) for over eight years, where he gained experience on political campaigns and on Capitol Hill that involved all aspects of communications and public relations. Dan is excited about the opportunity to apply what he has learned to help build upon and expand NCCS’ communications outreach. As a cancer survivor himself, Dan understands first-hand the importance of NCCS’ mission for patients, survivors, caregivers, and families. Ellen L. Stovall was a 44-year survivor of three bouts with cancer and advocated for more than 30 years to improve cancer care in America. After serving as the National Coalition for Cancer Survivorship’s CEO for many years, Ellen became the Senior Health Policy Advisor for NCCS. She provided invaluable insight on NCCS’ priorities until her sudden death, due to cardiac complications related to her cancer treatments, in January 2016. One of the pioneers in cancer survivorship, Ellen was a founding member of the National Cancer Policy Board at the Institute of Medicine (IOM) and its successor, the National Cancer Policy Forum. The Forum allows government, industry, academic and survivor advocacy representatives to meet and privately discuss public policy issues that arise in the prevention, control, diagnosis, and treatment of cancer. Prior to the establishment of the Forum, Ellen was vice-chair of the National Cancer Policy Board and co-chaired its Committee on Cancer Survivorship. In that capacity, she co-edited the IOM’s report “From Cancer Patient to Cancer Survivor: Lost in Transition” which addressed the issues adult cancer survivors face. 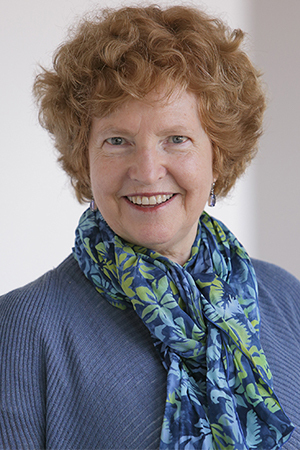 Ellen served as vice-chair of The Robert Wood Johnson Foundation’s National Advisory Committee to Promote Excellence in Care at the End of Life and as the vice-chair of the Foundation’s National Advisory Committee for Pursuing Perfection: Raising the Bar for Health Care Performance. Ellen was a member of the Boards of Directors of the National Committee for Quality Assurance (NCQA) and The Leapfrog Group, and she served on a committee of the National Quality Forum (NQF) to establish consensus around cancer care quality measures. In 2010, Ellen co-chaired, with Dr. George Isham, an NQF Committee convened for the purpose of creating a Measure Development and Endorsement Agenda for the Department of Health and Human Services as well as serving on an IOM Committee charged with recommending Standards for Developing Trustworthy Clinical Practice Guidelines. Ellen has served on numerous other advisory panels, working groups, and committees of the National Cancer Institute (NCI), American Association for Cancer Research, and the American Society of Clinical Oncology which inducted her as a Fellow in 2008. Ellen also served a six-year term on the NCI’s National Cancer Advisory Board, an appointment she received in 1992 from President Bill Clinton. Ellen touched thousands of cancer survivors with her kindness and grace and wisdom; she is deeply missed. Yet her experiences and wisdom will continue to guide NCCS in its advocacy for the millions of cancer survivors. Her death will always be a reminder of the seriousness of late and long-term effects from cancer treatments, effects we seek to prevent when possible and to treat when unavoidable. Samira K. Beckwith, a two-time cancer survivor, has over 30 years experience in professional healthcare and social services. 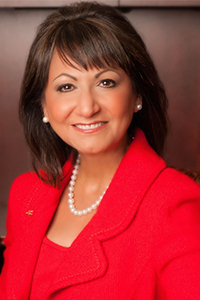 She has served as President and CEO of Hope HealthCare Services, based in Fort Myers, Florida, since 1991. Under her leadership, Hope has created a unique array of services for the frail elderly and children and today serves nearly 3,000 people and their families in a 10,000 square-mile area throughout southwest and mid-Florida. In 2010, Samira was appointed as a Team Leader on Florida Governor-elect Rick Scott’s Health and Human Services Transition Team. Former Governor Jeb Bush described her as a visionary who provides leadership on a local and national level – “passionate about ensuring the highest quality” of service in her role as President of Hope. With that in mind, he appointed Samira to the state’s Long-Term Care Policy Council, focused on providing the most cost-effective, community-based services for Florida’s elderly. She has testified before a US House Judiciary subcommittee on the need for legislation to enable better care and comfort for those at the end of life. Samira currently maintains leadership roles in multiple national, state, and community organizations, including the Board of Directors of the Hospice Action Network and Florida Hospices and Palliative Care Association. She served previously on the Board of the National Hospice and Palliative Care Organization and the Ohio State University Alumni Association. Samira is the Founding President of the Florida PACE Association – the Program of All-inclusive Care for the Elderly. Awards and honors bestowed upon Samira include the prestigious Ellis Island Medal of Honor, presented to distinguished Americans who “represent the very essence of the American way of life.” She has twice been honored by the National Association of Social Workers, as a Community Action Hero and a Social Work Pioneer. She has received the Ohio State University Alumni Association’s Medalist Award, and has been inducted into the Ohio State University College of Social Work Hall of Fame. Taylor Ferrell joined the NCCS Board of Directors in 2019. He is an environmental attorney with the Department of Justice. He formerly worked in the Pentagon and in the White House under President Obama. A cancer survivor, he lives in Washington D.C. with his wife and daughter. Ben Fishman joined the board of NCCS in 2017. He is a foreign policy and national security specialist who served at the White House from 2009-2013. Laurie Isenberg joined the NCCS Board in 2016. As a two-time breast cancer survivor, Laurie was inspired by Ellen Stovall, her husband’s cousin, to work as a patient advocate. She has worked with the UCSF Center of Excellence for Breast Cancer Care, where she served in a marketing advisory capacity at BreastCancerTrials.org, a matching clinical trial service for anyone touched by breast cancer. She is currently working with a team at the UCSF Cancer Center who are building integrated survivorship care resources across various cancer programs. Laurie is a strategic marketing and branding consultant helping both social enterprises and for-profit companies with their launch, branding and repositioning plans. She began her career in acquisitions and strategy for the Dun & Bradstreet Corporation in NYC and was the Director of Strategic Planning for D&B’s subsidiary, ACNielsen Worldwide. She subsequently co-founded SPINS, a marketing research firm for the natural consumer products industry. 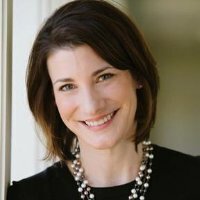 Laurie has worked with Prophet Brand Strategy and other consulting firms; her work includes developing a brand strategy for Breast Cancer Prevention Partners (formally The Breast Cancer Fund), a research and policy organization that works to remove cancer-correlated toxics from consumer products. Laurie earned her B.A. in Economics at the University of Colorado and her M.B.A. at The Wharton School of Business. 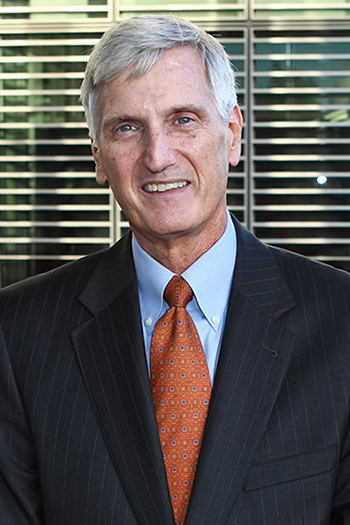 Michael L. Kappel served NCCS as the acting President & CEO and continues to serve the organization as a board member, representing NCCS at conferences and other meetings ensuring the voice of the survivor remains at the center of health policy reform and quality improvement. He retired in 2011 as the Senior Vice President, Government & Industry Relations for McKesson Technology Solutions. He served as an advocate for healthcare policies that enable improved care through the use of information technology. He was responsible for developing McKesson Technology Solutions’ responses to emerging legislation and regulatory initiatives. He previously served as Senior Vice President, Strategic Planning where he was responsible for product direction and long-range strategic planning. Kappel is active in a number of the healthcare industry’s information technology organizations. He was elected a Commissioner for the Certification Commission for Healthcare Information Technology where he previously served as co-chair of the Network Certification Workgroup, the Certification Process Workgroup and the Advisory panel. He is past chair of the Policy Committee of the National Alliance for Healthcare Information Technology and currently serves as a member of the Leadership Council of the eHealth Initiative and the steering committee of Connecting for Health. He currently is a member of HIMSS Electronic Health Record Association which he helped to found in 2004 and where he has served as a past member of the Executive Committee. Kappel brings to this position more than thirty years of experience in healthcare information technology development, strategic planning and business development. During his career, Kappel has served in numerous positions in private industry. Prior to rejoining McKesson in 2002, he was executive vice-president of ProVation Medical Inc., Minneapolis, Minnesota. Prior to joining ProVation Medical Inc., Kappel was chief executive officer of MedSpecialists, Inc., a start-up company that was acquired by ProVation in 2001. 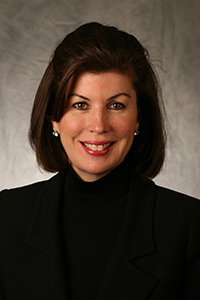 Kappel also held numerous leadership positions over 16 years with McKessonHBOC and HBO & Company. Kappel earned a bachelor’s degree in psychology from the College of William and Mary and a master of business administration degree in finance and healthcare administration from Cornell University. 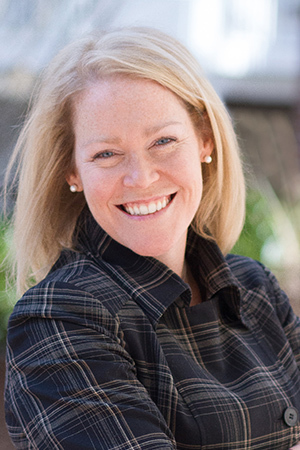 Jennifer McGihon joined the board of NCCS in 2015. She is the executive director of the East Region Development and Inova Alexandria Hospital Foundation. Previously, she served as the institutional giving director at the Inova Schar Cancer Institute. Dr. Rowland is a long-time clinician, researcher and teacher in the area of psychosocial aspects of cancer. She has worked with and conducted competitively funded research among both pediatric and adult cancer survivors, and published broadly in psycho-oncology, including co-editing with the late Dr. Jimmie Holland the ground-breaking text, Handbook of Psychooncology. Dr. Rowland received her PhD in Developmental Psychology from Columbia University and completed a post-doctoral fellowship at Memorial Sloan-Kettering Cancer Center in psychosocial oncology. While at MSKCC, where she held joint appointments in pediatrics and neurology, Dr. Rowland helped to develop and was the first Director of the Post-Treatment Resource Program, an innovative resource designed to provide a full range of non-medical services to patients and their families after the end of treatment. In 1990 Dr. Rowland moved to Washington, DC to become founding Director of the Psycho-Oncology Program at Georgetown University and the Lombardi Cancer Center. Nine years later, in September of 1999, at the urging of Ellen Stovall, she was recruited to the National Cancer Institute to become the first, full-time Director of the Office of Cancer Survivorship (OCS). As OCS Director Dr. Rowland helped build the visibility of the Office and created numerous governmental and non-profit partnerships to advance public awareness about and funding for research addressing the health care and quality of life needs of the growing population of cancer survivors of all ages, and their families. 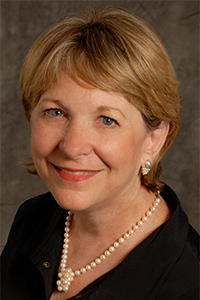 After 18 years in this role, Dr. Rowland retired from service at the NCI in September 2017 and assumed the role of Senior Strategic Advisor at Smith Center for Healing and the Arts, a small non-profit organization that has been providing integrative support services to cancer patients and their families in the heart of Washington, DC, for over twenty years. In 2015, she was inducted into the Cable Television Hall of Fame. She currently serves on the Board of the National Coalition for Cancer Survivorship and the Winter Institute for Racial Reconciliation. She also serves as a mentor for young men and women in the cable industry through the WICT mentorship program.